Budweiser has unveiled a comprehensive Fifa World Cup 2014 marketing campaign spanning advertising, digital and packaging, as part of a plan to fully exploit its status as an official sponsor. The 'Rise As One' drive will be spearheaded by a global ad campaign, which in the UK will run on TV and outdoor in the run-up to the summer tournament in Brazil. Launching with online teasers next week (5 March) with a full launch on 24 March, the black and white creative will be themed around the uniting force of football. Explaining the thinking behind the ad element, Jennifer Anton, Budweiser UK marketing manager, said: "Budweiser has purposely taken the colour out of it to just focus on the people and their emotion. "In a sea of colour, you will see a black and white campaign which is very unusual. Budweiser will stand out with this." She said the creative, which has yet to be revealed, "scored off the chart" during testing. Budweiser estimates that the TV ad, which will run until July, will be seen by 43 million people, while the outdoor covers a footfall of 12 million. The AB-InBev-owned brand also has a raft of digital activity in the pipeline to capitalise on what Anton said would be a "massive epic global event" on social. She pointed to the fact that since the last World Cup in 2010, Facebook had tripled its users from 400 million to 1.23 billion, while Twitter’s had leapt from 105 million to one billion. In partnership with Vice Media, Budweiser has created the 'Rise As One Series' online content, which will relay how football unites the world. In another first for the brand, a "Budlocator" multi-format app will allow consumers to search for bars and pubs stocking Budweiser and also help landlords to promote the matches they are showing via Facebook. The hub of the digital activity will be located at riseasone.com. 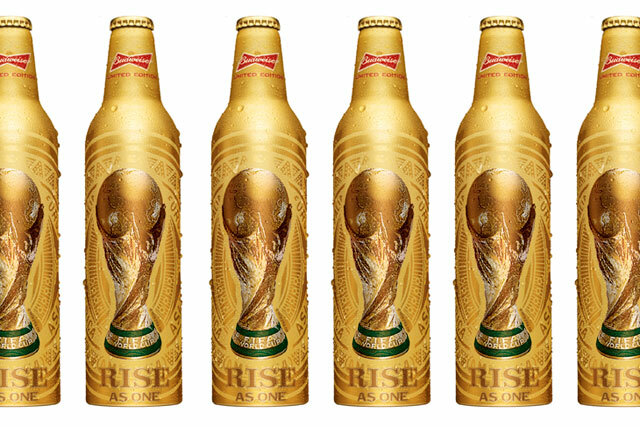 A limited edition gold aluminium bottle featuring the World Cup trophy is also being launched as part of the activity. Additionally, the brand plans to run an on-pack competition called Scan to Win, which offers consumer the chance to win a number of different prizes including tickets to the tournament. During the last World Cup, beer and cider sales increased by 13.2% – the highest category increase. 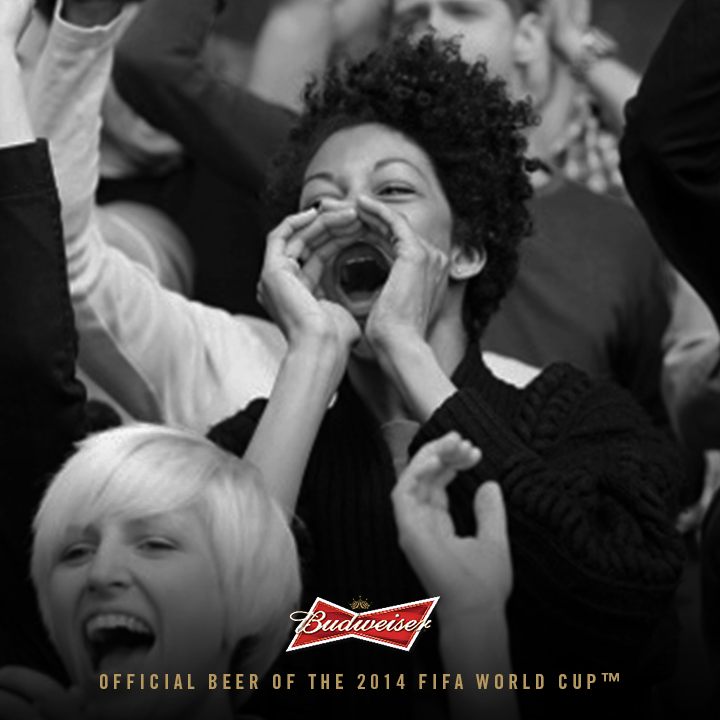 Budweiser has sponsored the event since 1996 and its current sponsorship deal with Fifa runs up to 2022.